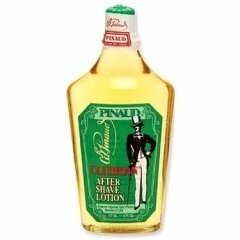 Pinaud is a popular perfume by Clubman / Edouard Pinaud for men. The release year is unknown. The scent is sweet-floral. It is still in production. A very powdery lavender that most barbers still use today. A true classic that you can use daily. It has good face feel and is not drying or moisturizing. Similar to Canoe and Brut but less powdery than Canoe and no real anise note like Brut. Unless you use a ton it doesn’t last all day. It might project an hour or so. Now, this isn't actually an Eau de Cologne. It is in fact classed as a "hair tonic" by the company - Pinaud. It is meant to act as a conditioner for hair "light" or "thin" hair, and it gives fragrance to the hair and improves blood circulation when massaged onto the scalp. That being said, it can also technically be used (in theory) as a skin splash, or a very light "body water" or Eau de Cologne. One interesting effect it has is that it can be used as a man's after shave, or skin lotion for the face after shaving the beard. In that respect it works wonders. As for the fragrance itself, it consists of a very clear and refreshing citrus (mainly orange zest and bergamot) initial blast, with very light herbs (I can't detect anything specific) but maybe also a hint of juniper giving an aromatic freshness. Does it last long? No. Does it work as an Eau de Cologne? Not really. Is it good for hair? Yes. Other than that don't expect too much from this one. As an Eau de Cologne it fails, but maybe as a hair conditioner it does it's job and gives hair fragrance and body. For the price it's okay. Nothing more. Pinaud Clubman is a classic barbershop scent. Probably the quintessential barbershop. Or maybe the ancient barbershop. Opens with some citruses/green notes (maybe lemons and some flowers). Then joins the notes of geranium and maybe vanilla or coumarin. Dries down to a soft and a little sweet base. The drydown is really powdery i must say. Pinaud Clubman was initially made as an aftershave, but it works very well as a fragrance because there isnt much alcohol. Of course it reminds me of many scents, specially Brut, which is a bit fresher and less powdery. Write the first Review for Pinaud!